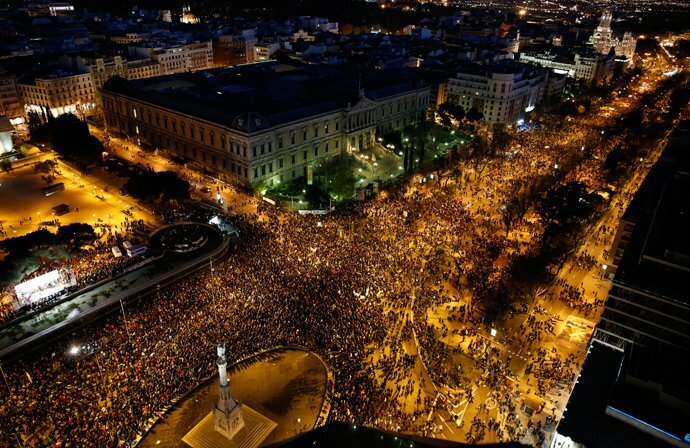 An anti-austerity protest attended by tens of thousands of people turned violent in Spain’s capital Madrid. Dozens of youths threw projectiles at police, who responded by charging at them. Demonstrators were protesting over issues including unemployment, poverty and official corruption. Protesters want the government not to pay its international debts and do more to improve health and education. They travelled from all corners of Spain, many of them making the journey on foot, in order to voice their anger. For many of them, the cutbacks that Mariano Rajoy’s government has implemented, in particular to health and education, are causing Spain irreparable damage. Although most of the demonstration took place peacefully, violence broke out later on Friday with a number of arrests and several policeman injured. Analysts say that Spain came out of recession in the second half of 2013.